Tesla stirred the established auto world when it showed the possibilities of electric cars. Elon Musk’s boutique electric fleet did not compromise on design nor did it on performance, thus disrupting the electric car landscape. Now the I-Pace will continue this dialogue. 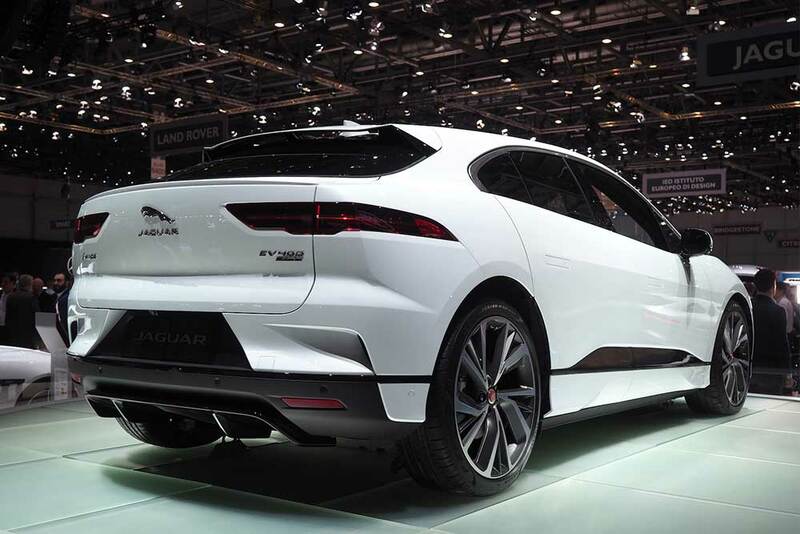 Jaguar’s first pure electric product is a practical, performance car. And it looks brilliant in the metal. The I-Pace will help promote the image of electrification. I suggest to Callum that Jaguar is in a great position to push the boundaries of luxury interior materials with such ecological products. “You can stretch this car from traditional wood to carbon and we are offering non-leather luxury materials such as Kvadrat fabrics,” he says referring to the Danish textile maker usually associated with contemporary furnishings and modern design. Sister company Land Rover recently created a bespoke Kvadrat wool upholstery for the new Range Rover Velar. “Leather is a product of a process and I don’t have an issue with it but the actual manmade materials are exciting and offer a great texture. I’d like to get into cashmere, durable wools and get them to automotive standard.” He admits the time must to be right, there needs to be demand and, crucially, dealers have to be trained to explain novel ideas to potential customers.